Polished concrete is a high-gloss finish, achieved by grinding, honing & polishing standard concrete with diamond-embedded disks. Resurfacing options at MAXXCRETE INC.
What do clients say about MAXXCRETE INC.? 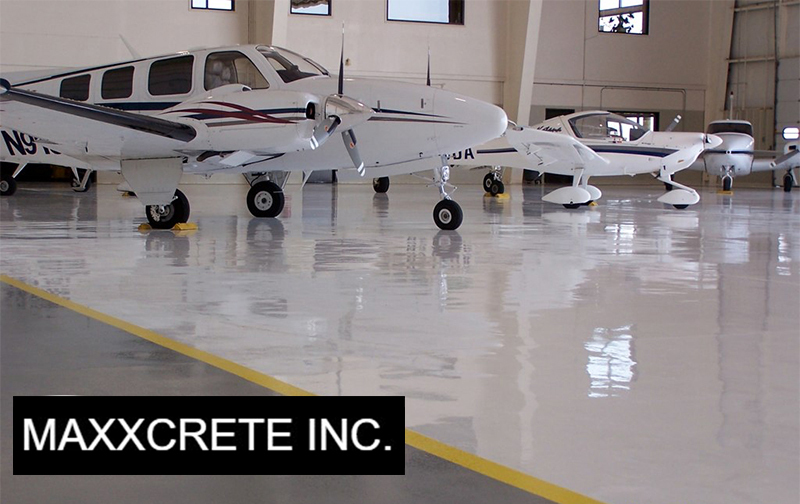 MAXXCRETE INC. shows how polished concrete can help you - at home or at work! Think polished concrete isn't for you? Concrete Resurfacing Options shows just a few of the industries benefiting from polished concrete. Over 25 years of experience in the Concrete Restoration & Refinishing industry! MAXXCRETE INC is here to help you choose the correct solution for your concrete resurfacing needs! Whether your residential garage floor needs an epoxy finish, or your commercial / industrial space needs its concrete floors polished, we have the expertise and service you’re looking for. MAXXCRETE INC is a Chicago-based certified installer of Epoxy Resinous Flooring Systems (just to name a few, Arizona Polymers, Sikafloor, JonDon Envirofloor, General Polymers / Sherwin Williams, Rock-Tred, Vaporsolve Moisture Remediation, PPG, and Liquastone) and Polished Concrete Systems (Prosoco Consolideck, L&M Chemical FGS PermaShine, Husqvarna Hiperfloor and W.R. Meadows Induroshine) as well as other durable systems!